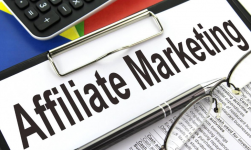 The online marketing domain is continuously becoming more versatile. You can no longer imagine investing in one form of marketing and leaving your goals at it. It has to be multifaceted marketing that reaches your target audience at each stage of their interaction with the web. This is where GetResponse has evolved into a total marketing automation solution. It is much more than just email marketing. 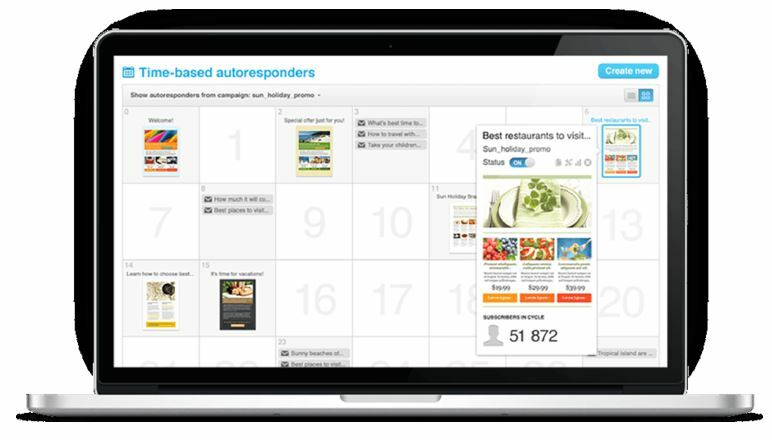 GetResponse’ marketing automation solution is fully-featured and scalable. You will find everything you need based on your business size and type. 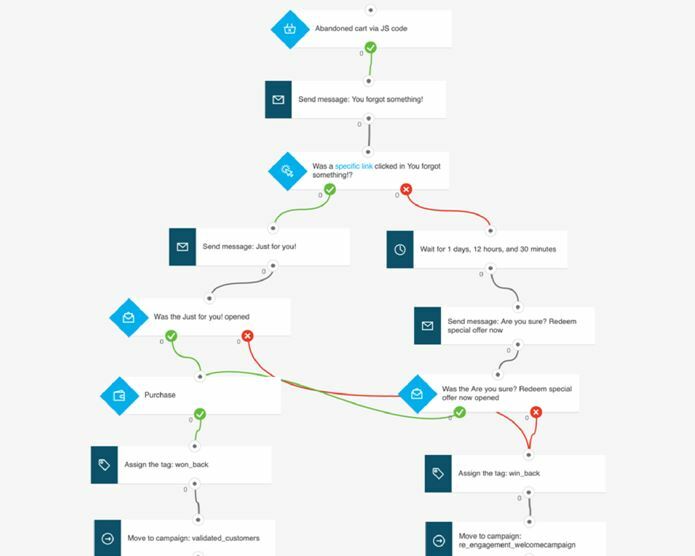 The marketing automation solution allows you to keep track of each action of your targeted audience and take appropriate action at each step in the promotional process. As already mentioned, GetResponse is a proven email marketing solutions provider. It has been in the business for many years and has a series of features that help it stand out from the crowd. 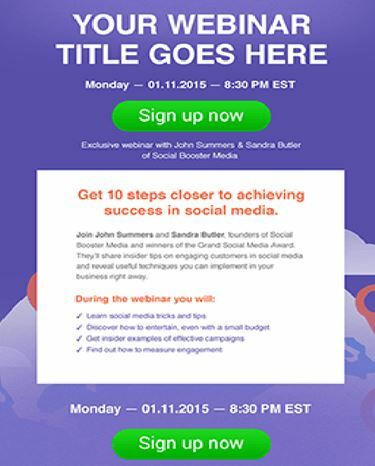 Create elegant, responsive emails to your prospects and clients. Every email looks professional and helps boost your sales and engagement levels. It takes just a few simple steps to have your campaign ready and running. You don’t have to have previous experience in email marketing. You don’t have to be a great designer in order to create engaging email messages using GetResponse’s email creator tool. 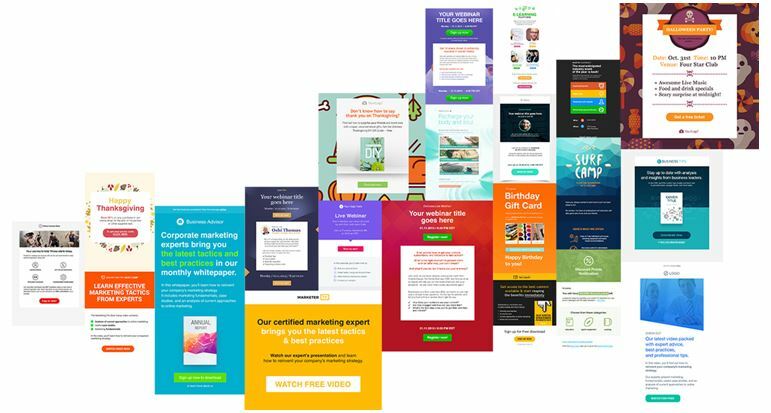 A simple drag-and-drop system, combined with over 500 exemplary templates, and access to 1,000+ free iStock images means you can create some of the most stunning and unique email messages possible. Create unmatched professional messages in just minutes and send out to your target audience, without the need to have any advanced designing skills. Your target audience is not just using the desktop or laptop to access the web and check their emails. They are doing so on their smartphones, tablets, and iPads. This is where one aspect of GetResponse’s versatility comes to the fore. You can reach them on any device. Not only can you reach your target audience on any device on any OS, you can also preview your email messages before sending them out. 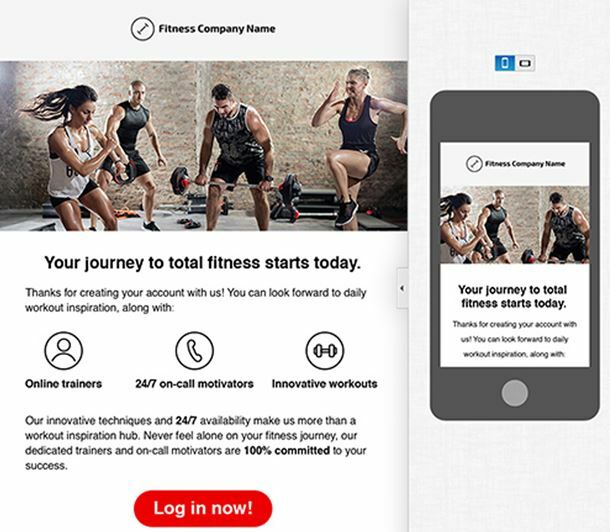 The in-editor mobile preview feature allows you to get a preview of the design so that you know that your target audience is going to view it like. All this means delivering the perfect format of emails to your targeted audience. The GR email marketing campaigns provide advanced personalization features. It allows you to address your recipients by name. You can also add key details within your email messages to help them feel more connected. 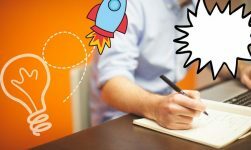 You will be able to use dynamic content and deliver personalized and relevant messages to your audience. The more connected they feel, they more likely they are to respond or take actions. GetResponse’ AutoResponder is like putting your marketing communications on autopilot. Keep communicating with your subscribers from the very beginning. The conversations can be triggered by different types of actions or on a time basis. You can deliver valuable content by setting the actions and messages according to pre-set sequences. And all these actions can be created and managed using a simple drag and drop organizer. If there is something common between any of your subscribers, it makes more sense to segment them together and reach them with appropriate messages. GetResponse makes this possible without any complications. You can segment your subscribers’ list into different segments based on what is common between them and reach them with the right messages and campaigns. This helps you build stronger relationships and increase engagement levels. And even the level of engagement of the subscriber. Imagine being able to send your messages at the time when your subscribers are most likely to open them. GetResponse makes this possible. Optimized email delivery means that you can deliver your emails at the ‘perfect’ time. This also eliminates the risk that your emails fill get overshadowed by other emails. Your messages can be delivered at the time when your subscriber is most active with their email account. 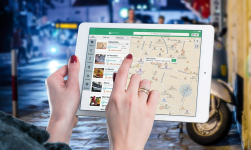 With GetResponse, you can optimize your message delivery for each subscriber. Time Zone Targeting: Your target audience sitting across the globe is going to have a different time zone. 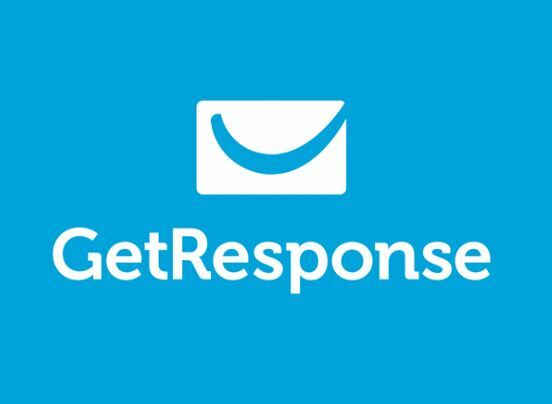 GetResponse allows you to reach them with your message at the right time. This is made possible with the Time Travel feature. Proven Deliverability: GetResponse is a white-listed email marketing services provider across all the major ISPs. It has more than 99% deliverability and gets priority handling. So never worry about your email marketing campaigns. 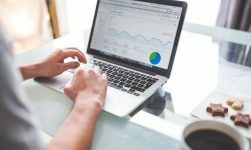 It provides you a single analytics dashboard from which you can keep an eye on your email marketing campaign’s performance so that you can make adjustments. You can keep an eye on real-time activity on your subscribers, about how they interact with your messages. All this can be done automatically to boost your leads, conversions and profits. GetResponse is your one-stop email marketing solutions provider. But its services are much more elaborate and versatile. 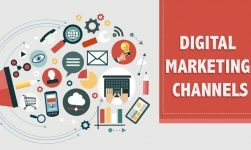 It provides marketing automation solutions, which are simple for anyone to use and help you reach your audience with more effectiveness. Its AutoResponders and Webinars features help you reach your targeted audience with the right and more engaging messages. You can segment your subscribers list and reach each group with the most relevant message. Deliver your messages at the most-productive time. Personalize messages to each subscriber. And do much more.